Home / Social Media / Is Bird Box a movie about the bad side of social media? 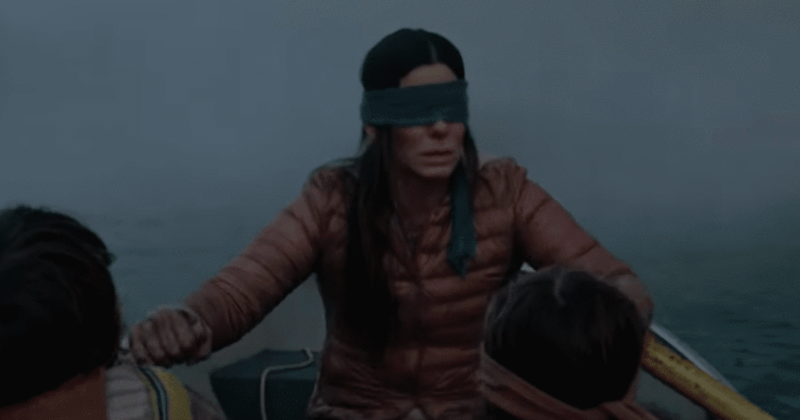 Is Bird Box a movie about the bad side of social media? It’s official. Bird Box now is the single most watched Netflix original movie to date, with over 45 million accounts (some 70+ million people?) have already watched it already. I am not a professional movie critic, but having watched this movie last weekend, I can’t resist sharing my interpretation of what the movie is trying to say to its audience. Read on, you have not yet come to the spoilers. I will warn you at which point you should stop reading this post if you have not yet watched this movie. Despite some bad reviews on Rotten Tomatoes and barely 6+ rating on IMDB, I must accept that I actually enjoyed watching Bird Box. Maybe that’s because I didn’t see it as a horror or a sci-fi movie altogether, but rather interpreted it as an artistic depiction of the chaos we are going through in this highly competitive, highly cluttered, digital society. Yes, in my interpretation Bird Box is a movie about the negative impact of social media on our society. It’s a movie about what this uncontrolled overload of digital connections are doing to the real social connections we used to have in a non-techy world. Bird Box is about a mysterious invisible power which prompt people for mass suicide. The story begins when TV news around the world starting to report people committing suicide in mass scale, for no reason. Some newscasts suggest it as a bioweapon by a group of terrorists or the North Koreans, but nowhere in the movie it confirms what this monster really is. As the story moves on, the main characters figure out that the “plague” spreads only if you open your eyes and see the outside world. The outside world has become ‘contagious’, so just by looking outside the window, you will catch this disease and will immediately commit suicide. The solution for preventing from catching the plague is, to stay indoors and never letting the sunlight reaches your eyes. Characters in the movie use blindfold to prevent themselves from catching the mysterious disease. The story goes on like this, and at the very end of the movie, the main character Malorie and her two unnamed kids (Girl and Boy) were rescued by a community of blind people who have never got threatened by this plague! Simply because they were blind, they are immune to the disease which transmits through eyesight of external entities. That’s only a very simplistic summary of the storyline, and now, here is my interpretation. I think the mysterious plague which prompts people to go insane and commit suicide represents the idea of “media clutter” in this digital age. As humans, we are bombarded with numerous information channels, and we are exposed to the lives of hundreds of thousands of other people, thanks to social media. Our mind is getting more information than we can process, which eventually makes us depressed and unhappy. That depression and unhappiness triggered by excessive exposure to social media is the equivalent of committing suicide in the movie. Just like the people in the movie go insane after they are exposed to the mysterious entity, people in our real society are getting more and more depressed and unhappy by excessively exposed to the content overload on social media. Just like Facebook is so addictive, the evil entity in Bird Box is so tempting for people. If they see it even by accident, they will keep looking at it until they themselves get killed. (It’s like Bird Box is telling us, we don’t even know how excessive use of social media is slowly killing us, we are so glued to it). Then, who are those other people in the movie who are acting in favor of the evil entity? The man who tried to convince Malorie and her kids to remove the blindfold? Remember he said “it’s ok... it’s all safe. Remove your blindfold, you will love it”. In my interpretation, these are the people who are so consumed by social media and became social media zombies. They are 100% taken by the evil side of social media. They don’t see any harm in being on Facebook for 10 hours a day. If someone tries to tell them the harmful effects of social media, they will not listen. Rather, they will justify to themselves with all the beautiful things they see on social media. Without limiting to that, they will go on and will drag more people to get addicted to social media. Finally, who are those people in the school for the blind? In my view, the blind people represent the ones who never used social media! Remember, 45% of the world’s population are not accessing the internet. Life, for them, is as usual as what it was for all of us in 1993. Because they never accessed the internet (they were blind all these days), the evil side of social media can’t get to them. When they see the other 55% of the world population is slowly embracing total misery in their life, they finally think of getting together and help the so-called ‘connected’ people to disconnect and survive. They teach the victims, how to start a new life with new hope. This ends my amateurish attempt of being a movie critic :-) Maybe I am totally wrong, maybe the writer and the director intended a totally different meaning for the movie. But this is how I interpreted it and that’s why I enjoyed watching the movie. Did you watch Bird Box? Feel free to leave a comment on what you felt about the movie.